Unless you’re in a minimalist (which I don’t claim to be (yet)) or your culture doesn’t celebrate Christmas, chances are, there’ll be a some presents involved at the end of December. And as you know, presents, except if they’re second hand or if you’re offering an experience, mean use of natural resources and possibly high environmental and social impact. Hence this list! I put together a few ideas of eco-friendly and ethical presents I have for people around me that are not always super into the green, vegan, conscious lifestyle as you’ll see. I hope this inspires you to make conscious gift choices this Christmas! 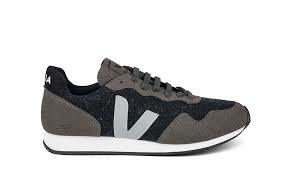 Considered by some (including me) as one of the most stylish and sustainable shoe brand out there (you can read why here but hint it includes fair trade wages, organic cotton and sustainable rubber), Veja recently launched a vegan line. Perfect to fit the boyfriend's shoe needs for a while! Born in Italy, We Wood uses only reclaimed or recycled wood to make their gorgeous watches crafted in Italy. For each watch sold WeWOOD plants a tree, and since the program began in 2010, they planted 442 246 trees! Definitely a gift that gives back to mama earth! Sounds weird? I know. But it's actually one of the most organic and eco friendly thing you can do! Just like food, our drinks are produced using natural resources. 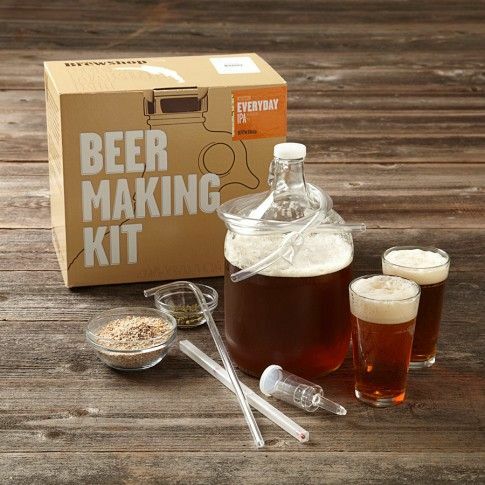 By using a homemade kit to grow his own beer, the boyfriend will be saving money, resources and be able to show off BIG TIME to his friends. Your boyfriend doesn't like beer? Change boyfriend. Handmade in France using cork, one of the most sustainable materials out there, peta approved Flore et Line bags are stunning! The colors are so gorgeous and the design uber chic. They also have a strong environmental commitment which was enough for me to be sold. Not inspired? here is a list of other eco friendly vegan bag brands that may help you find the perfect gift! I might be biased here as I use Cime's products a LOT but I've offered them before to my mum (see the link?) and she loved it. The smell is incredible, everything is vegan and organic and their packaging are recycled and recyclables! Plus, it's a belgian brand so supporting small business and local economy! Ekyog is a pioneer french sustainable fashion brand. They only use eco friendly materials and are giving back to a lot of projects around the world. I love their timeless shirts as once bought for my mum I can steal them for myself! Beware though depending on your lifestyle choices, some pieces are not vegan. The waste issue we're facing is becoming more and more talked about. Bulk shops are popping up and plastic bags are soon to be gone in many countries. So this zero waste kit from Zorro Dechet France (but there are probably one available in your country) couldn't be more relevant! Including an organic cotton tote bag, a bamboo toothbrush, a 100% organic and natural soap and several other items to get you bestie started on a zero waste lifestyle! I recently discovered Sacet's gorgeous rings, bracelets and necklaces and I feel it would make the perfect ethical gift for a friend. The silver used in their products is 100% recycled, the diamonds and gemstones are sourced from factories with fair and ethical conditions and the packaging are more eco friendly than I've ever seen. But let's not forget: the design are incredibly pretty and delicate! From being made of 100% organic cotton (which is rare enough to be highlighted) and approved by the Fair Ware Foundation to being printed in England with eco-friendly water based ink, Conscious Tees are as eco as you can get! Moreover, the tees and sweatshirts all carry messages promoting veganism, health, environmentalism, and for each purchase they give 20% to charity. Yes, you read correctly, not 1 or 5% but 20%! As a vegan, I know taking the step to a full plant based diet can be fairly daunting, especially when you have no idea what you're going to eat. And while there are plenty of vegan cookbooks out there, many are definitely not suited to beginners with tens of ingredients needed and a very fancy rather than simple and easy feel to it. But not Deliciously Ella's. They're my favorites! The pictures are gorgeous, ingredients are easy to find, recipes are simple and delicious and it's overall a great tool to start eating a plant based diet! Hope this list helps you find conscious gifts that do not harm the planet or people to offer your loved ones this year!